Browsing through the Amazon marketplace for some new products to review, I found a product called Erexite. 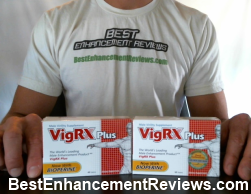 Like most male enhancement pills, Erexite boasts that it is a #1 rated formula, and is a strong and safe formula. Unfortunately, there is not alot information about this particular supplement online, primarily because there is no official website. We will attempt to explain everything there is to know about this product in this review. An all natural men’s aphrodisiac, Erexite is available almost exclusively through Amazon, and is not sold in stores. Luckily, we can guess how well this supplement works by analyzing the ingredients, which are graciously shown online. We found that the ingredients in Erexite are all natural, and many are very popular aphrodisiacs found in several hundred male enhancement supplements. Eurycoma Longifolia Extract – A plant native to Southeast Asia, Eurycoma longifolia has actually had clinical studies conducted on it concerning it’s use in male impotence. It was actually shown in lab rats to help increase sperm motility and count, and is very popular throughout asia as an aphrodisiac. Cordyceps Sinensis Extract – Promoted heavily through ancient Chinese medicine, cordyceps is actually a genus or plant that has over 400 recorded species. Cordyceps is one of the main ingredients in Erexite, and typically grows in a rain forest type of climate. Panax Ginseng – Ginseng has long been promoted to help increase vigor and sexual energy, and I have personally used it in several products such as RezzRx and Stiff 4 Hours. The panax version is technically called “Asian Ginseng”, because it grows in the tropical rainforest’s of Southeast Asia. There has also been sufficient evidence through the use of a double blind clinical study showing that Ginseng has the ability to increase male erections. Epimedium Grandiflorum Extract – Otherwise known as Ying Yang Huo (I know, sounds funny), Epimedium was discovered hundreds of years ago by farmers who noticed and increase in sexual activity amongst their goat herds. Likewise, they nicknamed it Horny Goat Weed (who would have thought). Today, Epimedium can be found in several other products such as Bigralis and Vicerex. Tribulus Terrestris – Tribulus is actually one of the only ingredients in Erexite that is not found in Southeast Asia or China, as is naturally grown throughout North America. Supposedly bodybuilders use this substance to help regain normal testosterone levels after using a cycle of steroids, however, these claims cannot be substantiated. It is well known as an aphrodisiac throughout herbal medicine, and has had several reputable stores carrying it as a stand alone product. Maca Root Extract – There is actually a story of the Inca’s that said their warriors would eat copious amounts of Maca before a battle to help increase their spirit and longevity. While the story may or may not be true, the legend held on for hundreds of years, and this ingredient in Erexite is marketed as an all natural testosterone booster. I have never actually tried Maca by itself, but several products such as Maca Man and MacaActive use it as their main (and often only) ingredient. Erexite states that you should take 1 – 2 capsules 45 minutes prior to sexual activity, and to consume with warm water. Their is very little information concerning reviews of Erexite on independent third party websites, yet Amazon has over 31 reviews on their site, many of them popular. There is an obvious scepticism by us that many of these reviews may actually be planted by the company, or representatives of it. For instance, one reviewer pointed out that the same people that were leaving great reviews of Erexite were not actually verified purchasers of the product. Another fact that was pointed out is the sheer number of reviews that have been posted in such a short period of time. For a product that is so new to the market, Erexite seems to have gained quite the following in a very short period of time. 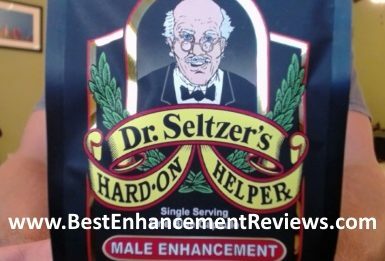 Read our article on Fake Amazon Male Enhancement Reviews and How To Spot Them for more information. As mentioned earlier, many of the reviews stated that there were no side effects from taking Erexite, however we did find a few men that had some problems. The most common side effect seems to be headache, which may be due to several ingredients and other factors. Without a company website, very little distribution throughout other online or offline retailers, and a number of sceptical reviews from unverified purchasers, we cannot recommend the use of Erexite. The price point for Erexite is around $30 for 10 pills, putting it in the high priced category of these supplements. While may of the ingredients have been used successfully in several other products, its best to check with your doctor before ordering to check for any potential interactions with Erexite.